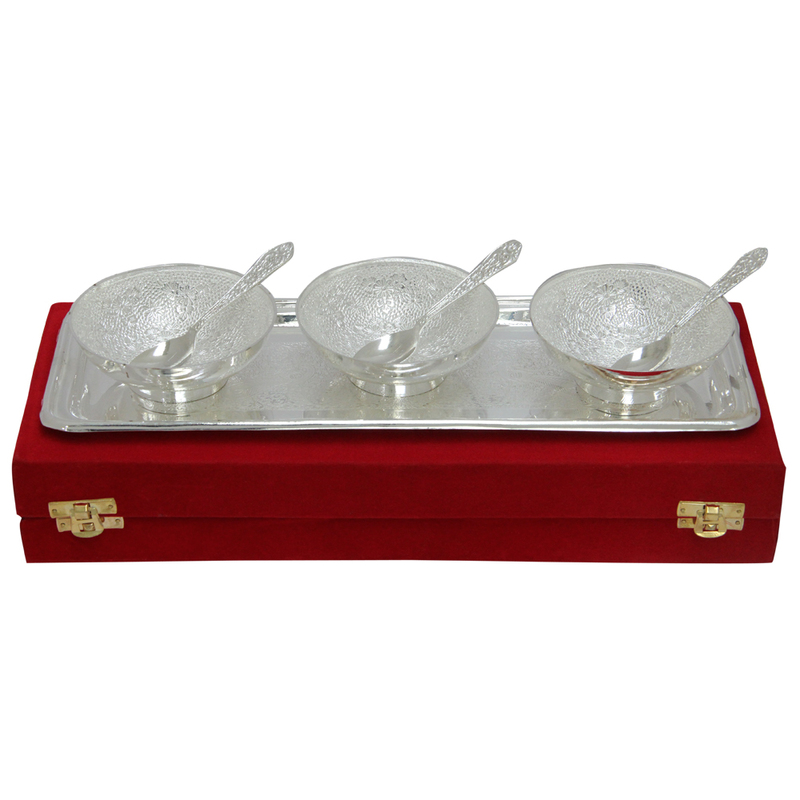 An elegant set of german silver tray and three bowls that enhances the look and taste of the delicacy served along with the appetite of Read More..your guests. 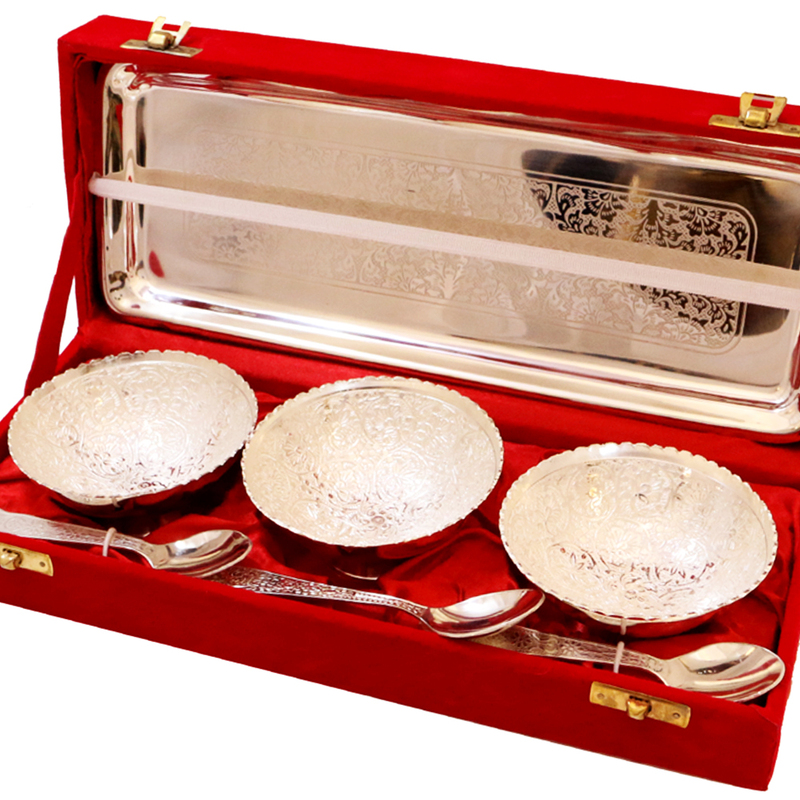 This decorative item will surely add to the décor of your dining room this diwali and whet the appetite of invitees. 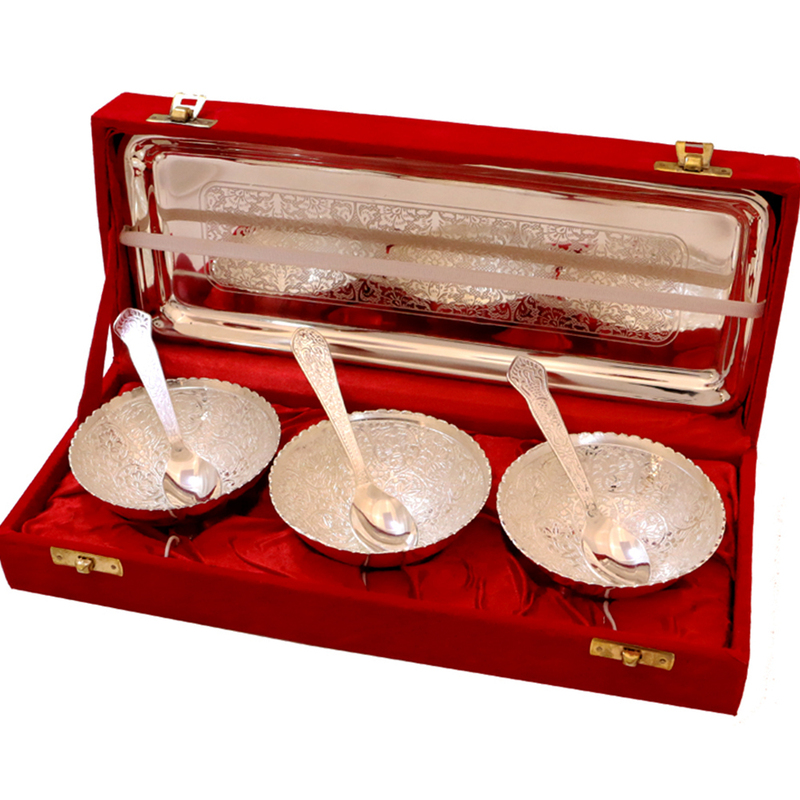 Use it for serving tasty food or gift this item to your near and dear ones on the auspicious occasion of diwali. Show Less..